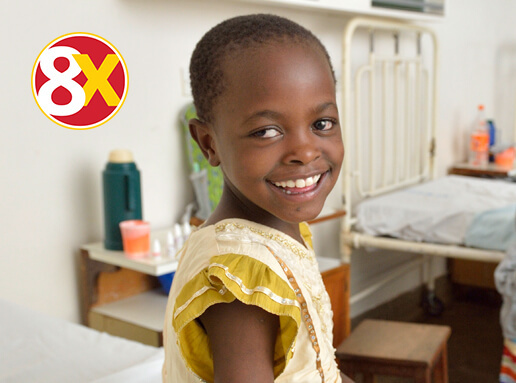 Sight-saving antibiotics for 25 children with 8X multiplier! 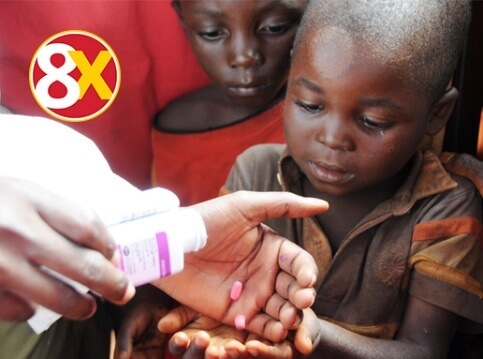 Sight-saving antibiotics for 100 children with 8X multiplier! There are millions of children threatened by blindness from a treatable infection called trachoma. It is a terrible disease that can be treated by the miracle of antibiotics.